When looking at a best CB radio for a truck or other vehicles, there are many factors to consider. Does the device offer a PA option? How easy is it to mount inside the vehicle, or store away when not in use? Does it offer long-range communication such as Ham Radio Base Station? Is long-range communication such as Single Side Band necessary? Here is a top rated review of five of the CB radio market’s best options for easy head-to-head comparison. CB radios have slight variations in price and features, but overall are consistent products in a safety-based market, not a market known for ripping off consumers or price gauging. These five products represent the state of the industry and are all worth looking into. For truckers and other driving professionals with years of CB radio experience, these products may be appealing due to their modern technological features such as long-distance transmission and dimmable dash lights. For the novice and recreational driver, the portable units can be stored more easily and moved from vehicle to vehicle if necessary. Uniden 40-Channel is simple and basic. It has a Signal/RF power indicator that that accurately indicates the strength of available channels and is very easy to connect to the emergency channel 9 in a hurry. Uniden 40-Channel is simple and basic. It has a Signal/RF power indicator that that accurately indicates the strength of available channels and is very easy to connect to the emergency channel 9 in a hurry. The external PA jack connects to just about any PA speaker, which is necessary in order to broadcast transmissions. It should be noted that this unit does not include an antenna. For full optimization, you will need to purchase both a speaker and antenna. Once these items are in place, set up is quick and easy. A downside to this product is the lack of wire. I acquired some extra wire from Home Depot in order to mount and use the CB radio in my truck. The frequencies on this radio are channelized 1-40, pretty standard, and the product meets qualifications to be US FCC regulated. A “Citizens Band” radio. It runs the maximum legal power wattage of 4 watts. For mountain, a 36-inch magnet mount will do the trick. A bit of advice on this product- because it is so cheap, spend a little extra on a strong antenna. That way, the transmissions, and volume will be maximized without taking up additional space inside your vehicle. The speaker is small but useful, try to go easy on it if you plan to use the unit regularly. 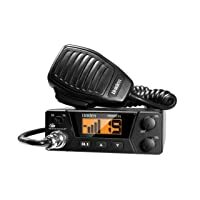 Overall, the simplicity of this CB radio makes it a great option for a first time user, those with smaller trucks or vehicles, or for professionals as a backup to a larger, more expensive unit. One of the best features of this product is the instant scanning of ten NOAA channels and emergency alerts- making this an ideal CB radio for cross country truckers or anyone who drives professionally. The Cobra 29 LX is a top of the line product, built for heavy use and ready to act as a dependable addition to your truck. The multi-color display and large numbering make it easy to know exactly which of the 40 channels you are on as well as the MHz and current time. The display features easily tune-able knobs for volume, Delta Tune, RF gain, and talkback. The product features a checking system called the Radio Check Diagnostic, which informs users of critical items such as low battery voltage, RF power, or bad antenna position. One of the best features of this product is the instant scanning of ten NOAA channels and emergency alerts- making this an ideal CB radio for cross country truckers or anyone who drives professionally. Cobra offers an antenna that goes well with this radio. Buying an additional 18” coaxial cable is recommended as is a car charger. For PA capabilities, any general PA speaker will do. This unit is powerful so buying the most expensive speaker is not necessary. The mic is 4 pin, and the unit comes with mounting brackets for both the radio and mic- a good plus given the price tag. If you drive at night, the display can be dimmed so that it is easier on the eyes. The radio automatically turns on in the event of a nearby severe weather alert, which can be a lifesaver (and a time saver if you are able to find a detour). On the downside, you may have to repair the VR6 spot for SWR- it is very sensitive without adjustment. Another potential problem is the length of the unit- mounting can be hard in a small vehicle, but is still doable- fool around with a few different locations until the most comfortable one is determined. This product is solid and dependable- it will last a long time. The Midland 75-822 is one of the best cb radios for trucks and cars without large mounting areas. This 40 channel unit can be plugged in and left that way with a nearby mount on a vertical surface. 10 NOAA channels, 4-watt output. The Midland 75-822 is good for trucks and cars without large mounting areas. This 40 channel unit can be plugged in and left that way with a nearby mount on a vertical surface. 10 NOAA channels, 4-watt output. Perhaps the best feature is the Automatic Noise Limiter, which reduces high-pitched squeals and other noises. The dash, knobs, and speaker are all built into this portable, handheld set. This product is not ideal for truckers or long-distance drivers because of the extremely small screen. There is no standard mountable dash. While this does not affect the transmission (as long as you have a strong antenna and position it correctly, the transmission is great), it can be hard to use and dangerous to use while driving. Only use this product in small vehicles or if you have a passenger in the vehicle with you. Otherwise, it can be distracting and will take your eyes off the road while you fidget with the controls to get it set on the desired channel. 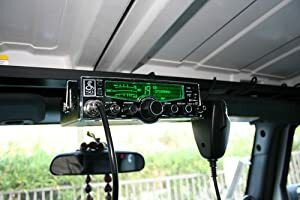 If not using for professional circumstances, a small mountable antenna couples nicely with this CB radio in vehicles without a large dash or outside mountable area. The Midland 75-822 can also be used with headphones, which can be nice in certain situations. This product is not for everyone- keep in mind what you are giving up by not having a mountable base. For portable CBs, this one does have a good price point for what it delivers. The Cobra 75WXST brings the solid build and reputation of Cobra into portable realm. Standard 40 channels, 10 NOAA, easy emergency access, and a good channel scan are all found here. Another in the realm of the portable-style CB radio, the Cobra 75WXST brings the solid build and reputation of Cobra into portable realm. Standard 40 channels, 10 NOAA, easy emergency access, and a good channel scan are all found here. It does come with a power box that can host an antenna, giving this product a solid edge over competition that forces consumers to purchase that stuff separately. You will have to buy an antenna, but this is actually a good thing- it gives you the option to go with one that you already know and trust instead of something that is pre-packaged. The product can be mounted on the vertical or horizontal area of your dash, if there is room, or stored under the seat or in a console when not in use. An unusual plus of this is that it will not be viewable for potential theft. The biggest downfall here on the portable unit is that there is no PA function. For long distance and professional drivers this can be frustrating, especially in an emergency. The primary function of a unit like this is for Jeepers and other off-roaders to use recreationally. Everything about this product is simple and easy to figure out- from the controls to the scanning, and the MHz is good for a unit this size. Hearing the transmission will not be a problem as long as your antenna is set in a good position. What you see is what you get with the Cobra 75WXST. It is not over-the-top awesome, and because it is more expensive than the Midland 75-822, may not be worth purchasing unless you are adamant about using only Cobra products. Uniden BEARCAT 980 SSB comes with a noise canceling microphone as well as a mounting bracket and power chord. Standard 40 channel unit with NOAA and emergency alert. Plus, this product comes with Single Side Band (SSB). For those looking for the real deal in vehicle CB radios, the Uniden BEARCAT is the answer. From the top here: It comes with a noise canceling microphone as well as a mounting bracket and power chord. Standard 40 channel unit with NOAA and emergency alert. Plus, this product comes with Single Side Band (SSB), allowing users more power for long range communication than standard units and ‘skip talking’ to other stations that would otherwise be out of range. In some circumstances, the SSB can cover the entire United States and beyond. Depending on antenna position and conditions, expect at least 50 to 75 miles of transmission coverage. A good antenna is crucial with this unit to maximize its benefits. A cigarette lighter power chord is also necessary. The speaker is located on the bottom cover. The dash features a seven color selectable display with Weatherband and Alert. It has a built in Signal and SWR meter and a PA function with a very strong mic. Mounting the unit is fairly easy, and can be done within or on top of the dash area or from the ceiling. It is a decent sized unit, as expected with what is being offered, so allow it to dominate its space for best functionality. Be sure to obtain a warranty, however- these units have been known to have problems earlier on than similar CB radios. While overall this is a luck of the draw thing, it is best to be prepared. The unit runs about Currently Not Available* so don’t be out that money. With the price point of the Uniden BEARCAT and all of the available features, it is a much better option than a handheld if intended for anything other than light recreational use. While all five of these units can get the job done, the moderate price points on all of them leave no reason not to invest in the best you can get. The last thing desired is for a CB radio to not work during a heavy storm or other emergency – this is a big part of why they are there in the first place! In that respect, two of these products stand out from the rest. The Uniden BEARCAT is a top of the line product that delivers all possible features and is genuinely a workhorse. However, because of equipment issues, the Cobra 29 LX is the best option for installable CB radios. The Cobra covers all bases and is known for long-term dependability. It is a product that will not leave you longing for more or better features because it contains all of them and is pushing the envelope on ingenuity. Thus, the Cobra 29 LX is product of choice here. 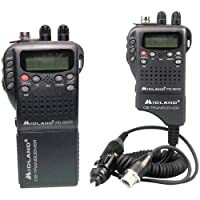 For portable CB radios, the Midland 75-822 comes in cheap and offers everything you will need all in a convenient box upon delivery. It is easy to set up and easy to figure out, not more than ten or fifteen minutes of fidgeting around will give you a basic knowledge of how to get what you need from the product. The Cobra 75 WXST is similar but consumers end up paying more for the Cobra name. The Midland 75-822 is basically the same product for cheaper. If a warranty is available on the Cobra, go with that product. If not, stick with the Midland. For professional drivers, a CB radio is a necessity that can save your life in an emergency. Do not skimp on quality by buying a cheap Wal-Mart brand that is going to break or cause problems when most needed. Midland, Cobra, and Uniden all offer worthy CB radios that bring industry leading features and amenities that are designed to operate in less than optimal circumstances. For those spending most of their time on the road, buying both a portable and a mounted CB radio may be a worthy investment- the combination of the Cobra mountable and Cobra portable is appealing. Or, to save a few dollars, the Cobra mounted and the Midland dash will offer similar results with different names. 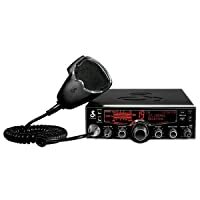 Regardless, a dependable CB radio like the Cobra 29 LX (mounted) or the Midland 75-822 (portable) is an investment in safety that is always worth taking.